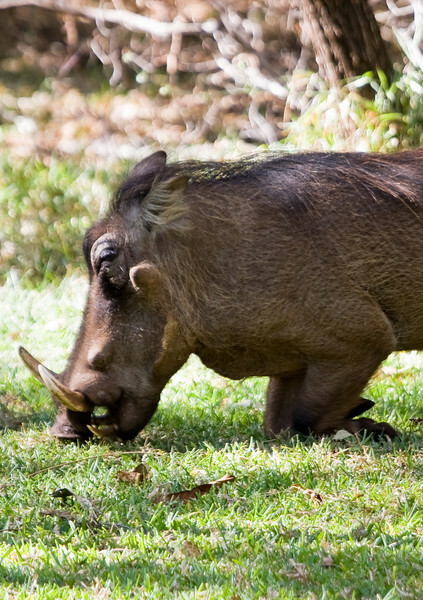 One of the MANY warthogs enjoying the grass on the grounds. They are called the "lodge dogs" because they are so ubiquitous. Tasty, too.